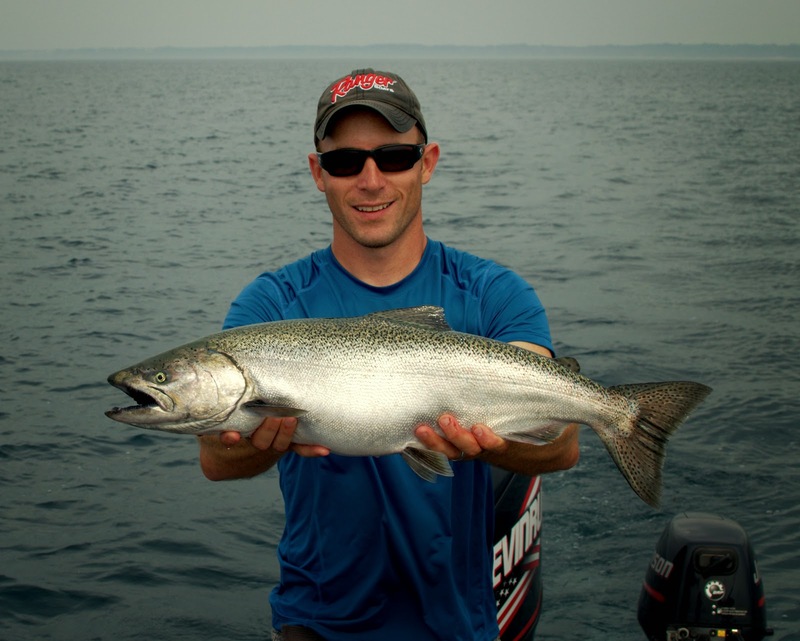 Salmon fishing has been good on Lake MI with some really big fish being caught. Some Northern Michigan rivers are already seeing salmon move upstream to spawn. The majority of the fish are still out in the Great Lakes. I've been targeting them in 80-100FOW with dipsy and lead core lines. Yesterday's hot setup was a white/glow dodger with green trolling fly about 18" back. Spoons are also producing fish. About another week or two and it will be time to start looking for these big fish in the deep holes of your favorite salmon river. Those in the know are finding fish now! I'm getting close to posting a full Alaska trip report for those who have been reading. 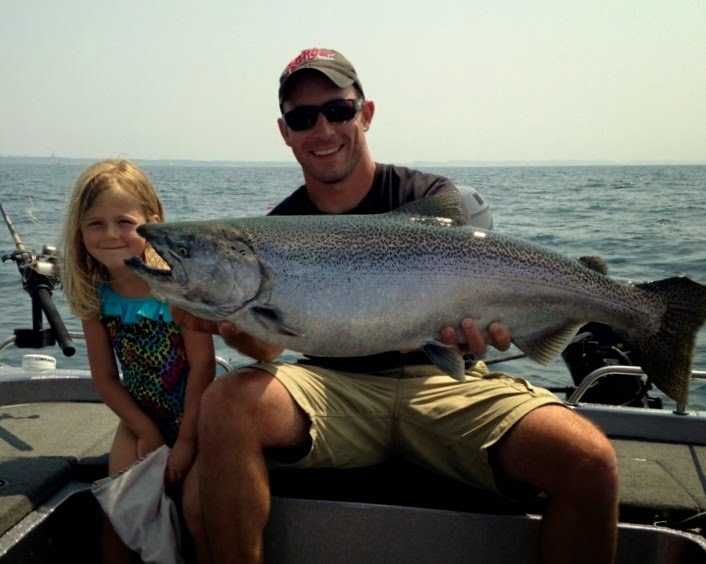 Fall is near and there is so much to do outside, stay tuned for more Michigan fishing reports.